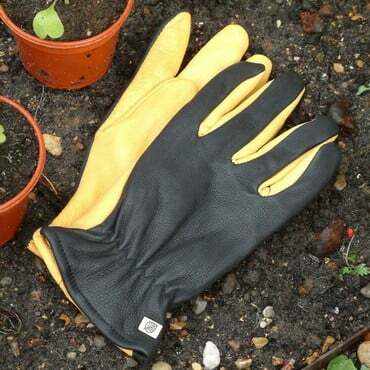 Gold Leaf Soft Touch Gloves are packed full of features as you'd expect from Gold Leaf and are arguably the most comfortable and luxurious gardening gloves on the market today, used by both professional and amateur gardeners. 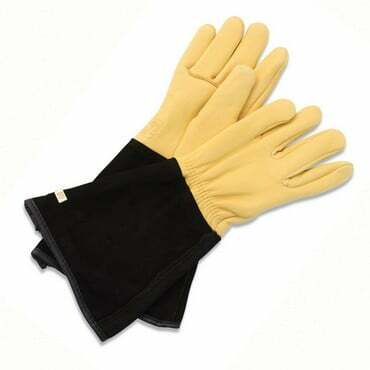 Lycra backed, the Gold Leaf soft touch glove is truly innovative and offers an extremely close fit allied to incredible durability, and unmatchable dexterity. The palm of this glove is constructed of very high quality grain leather which is characterised by its softness and suppleness, whilst remaining highly durable whilst the back of the glove (available in two sizes, Ladies and Gents) is made from Lycra, nylon and foam, which together with the velcro fastening, afford the close, tight fit which helps elevate Gold Leaf soft touch gloves above other Gardening Gloves. 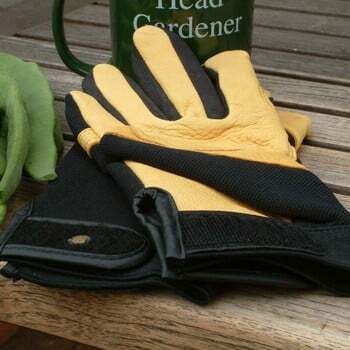 Comfortable gloves - however they're not very water resistant and stained my hands yellow. 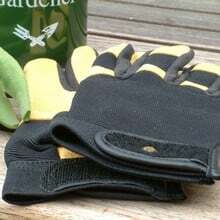 I was advised to rinse the gloves in cold water, then leave to dry. It lessen the problem, but by the end of the day my hands are still stained. Over time the problem will be fixed, but still very disappointing. I also bought the tough touch and same issue. For the price I will be trying another brand. An explanation on how amazing their product is (blah blah) and a refund was offered. 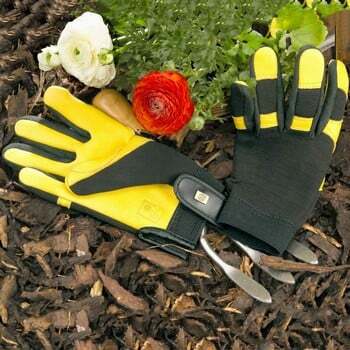 Many thanks for your feedback which has been passed on to our Purchasing Dept to address with the Supplier. These are easily the best gardening gloves I've used after nearly 30 years in the business - a joy to wear! 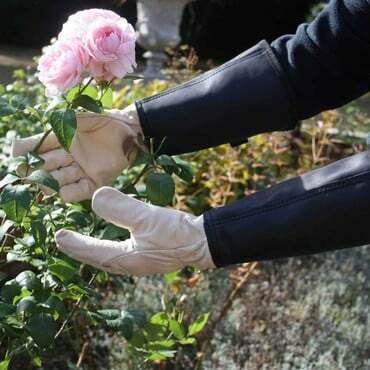 The continuing quality of GOld Leaf Soft Touch Gloves makes me wonder why anyone buys any other glove of this nature!!!!! "Best Leather Gloves - Gold Leaf Soft Touch. The palms are made from soft, supple high grain leather and the back from lycra, nylon and foam. They provide good protection, durability and dexterity. 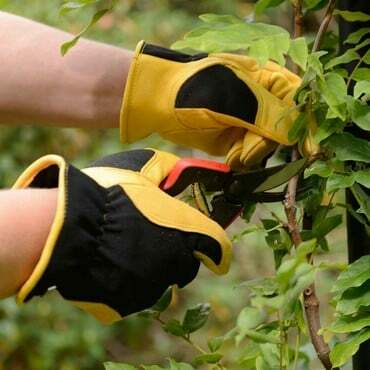 Velcro wrist cuff fastening ensures a secure fit."